With over 200 tanks stocks with the most stunning species from worldwide sources, we're sure to have something to appeal to your taste. Everything from the smallest guppies to the largest predators, we have it, or can get it for you. 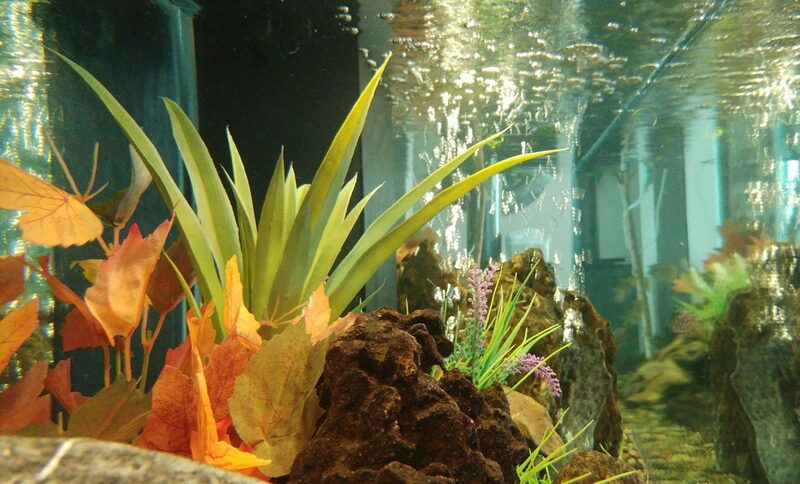 We have over 200 tanks that are regularly updated with new and exotic species from around the world. We import stock from as far as Indonesia, Malaysia, and even South America. If it’s out there, and it’s legal, we can get it for you. To relieve the stresses of work I have a fair sized fish tank in my office with little guppies and mollies swimming about. I have little baskets in the tank because these fish have lots and lots of babies. If one dies I take a sample of the water to the Aquarium Centre to see if there is anything lacking in the water. They have the most beautiful water plants as well as fake ones - absolutely everything!! I pop down once every few months and have to add new members to my fish tank family - so calming!! My wife will be retiring from work in December so she decided she needs her fish tank to "look nice" when she leaves it for one of the ladies at work to take over. To do this we took a drive out to "the South" to the Aquarium Centre. What really impressed me was that when we were looking at the guppies, we were told that we could not buy any of them at the moment because they were in the "sick bay". Instead we bought some bright pink dominoes and some orange and black guppies with a few more water plants. This place is beautiful to visit - they have enormous tanks around the perimeter of the premises with a vast range of fish, rocks, stones, sand, plants etc. Staff are very knowledgeable and explain the difference between the males and females, whether they lay live babies or eggs etc. Definitely worth a visit. For a huge selection of fish for your fish tank, this place is the best!! Whether you want the normal guppies, mollies, neons or big rare fish, the selection is enormous! The most caring staff who climb up on ladders to gently remove the exact fish you want out of their enormous tanks. Fish tanks, plants, rocks, nets etc are all available here. If you want some of that old school charm in customer service, and prices that won't give you a stroke, this is definitely the place to go for all your tropical fish needs. The new management is really in touch with their client base and their active interest in the business, and including improving their facilities is a pleasant surprise. Always a pleasure to part with my money here. Been going to Aquarium centre for over 10 years and they are honestly the best. They are helpful and very knowledgeable. You can find us at 303 Rifle Range Road, Kenilworth, Johannesburg. Closed on Mondays, because the fish need to rest.